THE first real test of the Irish art market this year took place at Whyte’s of Dublin. The hope was the market would continue where it left off last year, with more solid results building on the best year the market has had since the last days of the Celtic Tiger in 2008. And largely this proved to be the case. The 187-lot auction of Irish and international art at Whyte’s (20% buyer’s premium) on February 27 sold for a total of €850,000 (£726,495), with 78% of lots getting away. Over a third sold above estimate and the majority of the higher-valued items got away. But the absence of the Belfast trade, usually present at Whyte’s Irish sales, was an area of slight concern. Though private buyers make up around 95% of these sales, a clutch of Northern Irish dealers regularly make the trip south to purchase pictures by 20th century Ulster painters such as Charles McAuley and William Conor. But this time they weren’t there, and much of the material by these artists went unsold. Uncertainty caused by Northern Ireland’s Assembly election (held a few days after the sale) and the ongoing low sterling exchange rate were the main culprits, but Brexit is also casting a shadow. He says this could include the reintroduction of 20% cross-border VAT, which will have to be paid by the owner every time a picture crosses the border into the UK, and 23% if it’s going the other way. For the moment, the impact has been minimal as private buyers continue to spend. The sale topper was an archetypal blue-tinged Paul Henry (1877-1958) landscape of Lough Altan in County Donegal. Though it lacked a cottage to send it into the next commercial bracket, it sold just below the bottom estimate for €58,000 (£49,572). Another financial highlight was a 14 x 9in (36 x 23cm) oil on panel horse canvas by Jack Butler Yeats (1871-1957) that had formerly been in the collection of actor Peter O’Toole. 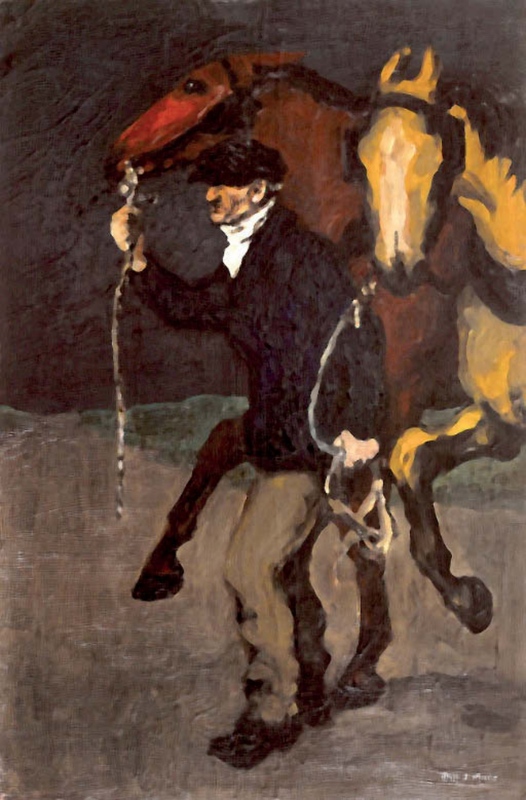 The night-time scene of a welldressed horseman bringing out new animals was painted in 1914 and sold within estimate at €42,000 (£35,897). This was a slight increase on its last auction outing where it made €40,000 at de Veres in November 2012. Joining the elevated company of these saleroom bankers for the first time since the Irish economic downturn in 2008 was, one of Ireland’s best-known artists of the late 20th century: Louis le Brocquy (1916-2012). Few artists have taken more of a hammering. In 2014, Michael Parsons wrote in his column for the Irish Times that collectors who had bought le Brocquy works for investment during the final days of the art market boom were faced with price drops of as much as 70% in value – “as bad as the worst falls in the property market”. However, as Irish art continues its recovery, his prices are beginning to improve. “Le Brocquy is making a comeback and this sale was the first indication that they are on the way back up again,” says Whyte. Against reasonably conservative estimates, eight out of the 10 Le Brocquys (two oils, six prints and two tapestries) got away to the tune of €120,900 (£103,330). 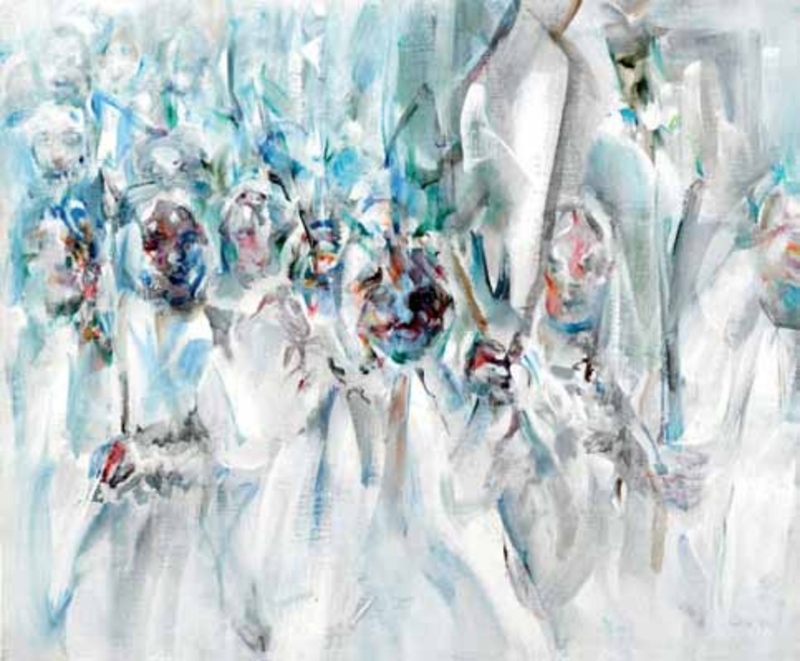 The star was an 15 x 18in (38 x 46cm) oil on canvas from the 1984-92 Procession series, which were inspired by a newspaper clipping the artist saw of young girls in white First Communion dresses carrying white lilies. Though Le Brocquy called it a study for the larger works in the series, it is a fully finished painting. It sold towards the bottom estimate at €46,000 (£39,320). 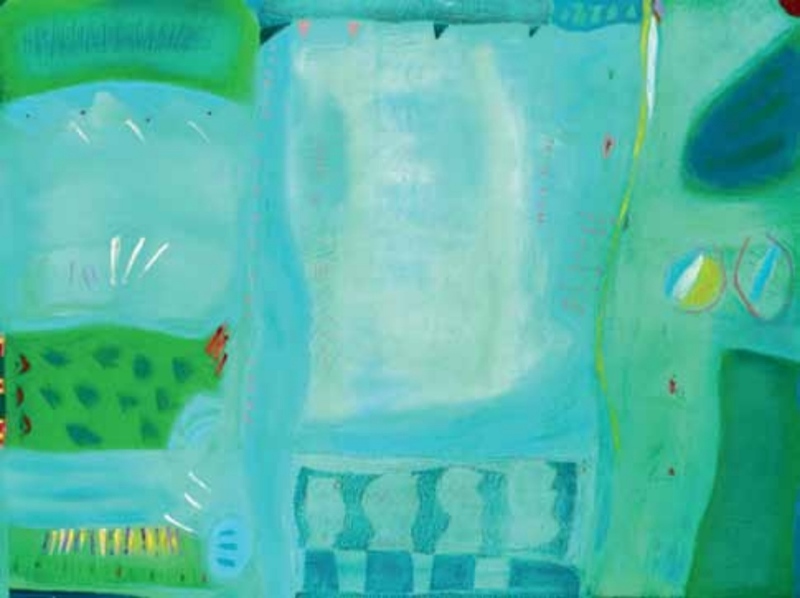 More art by Tony O’Malley (1913-2003) from the collection of esteemed Irish art dealer George McClelland and his wife Maura continued to sell strongly. McClelland was instrumental in promoting the works of O’Malley to Irish collectors in the late 1970s and early ’80s, acquiring a large number of works for his own collection too. This was the third tranche to be offered of the artist’s work, with all 16 lots getting away. The financial highlight of the 16-lot group was Summer Inscape, Callan, County Kilkenny, a 36 x 48in (91cm x 1.21m) oil on board from 1981. It was bid above a £12,000- 15,000 guide to sell at €17,000 (£14,530). A fourth and final tranche will be sold by the auction house in May.